This week, world governments and the attendant media gaggles are focused on the ISIS militia that has captured much of northern and western Iraq. From popular news reports, we might get the impression that ISIS’s expanding influence is a shocking and sudden surprise event. It isn’t. In spite of the usual “the CIA has failed us” blather from the major media drones, ISIS has, for the last decade, been well known by the US government and anyone else caring to pay attention to the PR department of the ISIS gang. When we read news reports that claim that the US government was, until this week, left in the dark concerning ISIS, we are reading analysis that is either from a fantastically uninformed source or from someone who simply invents fake news to suit their boss’s political agendas. ISIS has been well known under a variety of names to even the most feeble Western intelligence organizations since at least May of 2004, when the group web-published video of their execution of US contractor Nick Berg. Even if the CIA wanted to hide the existence of ISIS, it could not have done so, as ISIS has never tried to be particularly secretive. On the contrary, they have always done their best to garner as much media attention as possible, and they have always been clear about their objectives. So who is this group that seems to be surprising so many oblivious “reporters”? In the broadest terms, there are three main intransigent political groups in Iraq—the Shia, the Sunnis, and the Kurds. The Shia Arab group is in power and is ruling with the same lack of skill that we would expect from any other Iraqi political coalition. 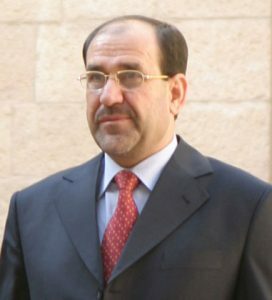 The Shia block and their grossly incompetent and very corrupt Iraqi Prime Minister Nouri al-Maliki have made little effort to protect the interests of the Kurdish minority in northern Iraq or the large Sunni minority scattered around Iraq. In turn, radical members of the Sunni minority formed ISIS, the Islamic State in Iraq and Syria. 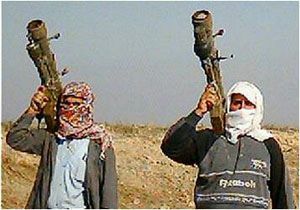 In their early days, they called themselves Al-Qaeda in Iraq. Al-Qaeda has since decided that ISIS is “too barbaric and too radical” for Al-Qaeda standards. Translation—ISIS has so much funding from Saudi Arabia, Kuwait, and Qatar that we can’t control them. Why would certain Saudis, Kuwaitis, and Qataris back such a radical group so close to home? Their main reason is that they pose as Sunni Islamists while living as hedonists, whereas the Iranian leadership poses as Shia Islamists while living as hedonists. Iran has, for decades, been exercising power throughout the area via their surrogate Hezbollah militia/terrorist group in Lebanon and their obedient servants, the Syrian mafia Assad family. The Shia-governed Iraqis are their pals. The uprising in Syria was started by moderate Syrians in a desperate hope to find freedom. Iran quickly moved to help keep their obedient Assad servants in power. In response, Iran’s Shia Hezbollah militia went on a campaign to consolidate their power in Lebanon and Syria. Sunni radicals of various stripes banded together under the ISIS brand to oppose Hezbollah in Syria and Lebanon. As a result, most of the Syrian moderates were swept aside or murdered. As more cash has flowed into ISIS pockets during the Syrian Civil War, the group’s influence has grown. In the meantime, Maliki’s government in Iraq has grown closer to Iran, while being propped up by US taxpayers. Does your head hurt yet? It certainly should. So why does the West care about one more war in the Land of Infinite Wars? The collapse of the Iraqi Army is a frustrating embarrassment to the US government. Under the “you break it, you own it” doctrine first stated by US Army General Colin Powell,* both the Obama and Bush administrations have invested heavily in trying to finance and train something that might look vaguely like a functioning government in Iraq. In exchange for our $50,000,000,000 post-war reconstruction extravaganza, which has been managed by a 5,000-strong diplomatic corps, we ended up with something even more chaotic and violent than our worst inner-city ghettos. We ended up with Iraq. So did the poor Iraqis that live there. We Americans are a sentimental bunch, and many of us hate to think that all that reconstruction money we sent to Iraq was a complete waste. On the dark humor front, we are now being treated to the specter of the Iranian Mullahs offering to cooperate with the US—and anyone else that would like to show up—in bailing out Maliki’s government. Iran does not want ISIS to succeed in gaining control in Iraq. ISIS does not want Iran and the Shia Iraqis to succeed in Iraq, and the Kurds would like them both to go to hell as soon as possible. What can or should America do? For the present, the president is considering air strikes to back up the sham Iraqi Army. A US carrier has been ordered to approach Iraq. This will be the first time in history that the Shia radical thugs in charge in Iran will find themselves cheering the sight of a US Navy carrier. The strategy over the last few months has been to send better weapons, including anti-armor missiles, humvees, and infantry support weapons, to the Iraqi Army. This strategy has backfired badly, as ISIS has captured large stockpiles of US weapons. I suppose that if each of our 5,000 diplomats in Iraq threw a rock at the advancing ISIS forces, that storm of rocks could slow them down. Perhaps ISIS would mistake the flying rocks as a sign from Allah and accept it as a command to stay out of the Shia dominated regions of Iraq. ISIS has had easy going in areas where they have a Sunni majority to back them up, but they will face discernable opposition in Shia areas. My best guesses are as follows. Neither Iran nor the US will quietly accept a radical Sunni regime in Iraq. If ISIS becomes too powerful, even their Saudi, Kuwaiti, and Qatari backers will grow uncomfortable with their presence and will withhold funding. ISIS will never be able to achieve their dream of consolidating power over all of Iraq, Syria, and Lebanon. They may be able to keep a hold over Sunni dominated areas of Iraq, but they will face a constant struggle to occupy what they have thus far captured. On the economic front, oil companies will do what they have been doing for a hundred years. They will raise the price of oil beyond any real escalated costs of obtaining crude. On the political front at home, loyal Republicans will pretend that Iraq was once a great place to live, and they will blame the current disaster on Obama. Loyal Democrats will pretend that Iraq was once a great place to live, and they will blame the current disaster on George Bush. Loyal Americans will likely notice that both administrations demanded far too little of the Iraqi government that we financed and propped up, while thousands of our military members died or suffered serious wounds. And for the children of Iraq? It’s another sunny day in the Land Between Two Rivers. *I know that General Powell was the US Secretary of State in addition to being a general. But as events have often proven during the last half century, any third rate political bum can be a Secretary of State. It takes a bit more than that to be a US Army general, so I prefer to think of General Powell in terms of his higher status. “…and what will happen when they eventually return home.”. They were home before they escaped to Australia. I have been watching Australia’s immigration disaster with some interest from afar. Apparently many of Australia’s immigrants have such a low opinion of their home nations that they are willing to risk drowning at sea to escape their home nations. It’s sad that so many of them are so irrational that when they get to Australia they want Australians to start acting like the peoples and cultures that these new immigrants escaped from. After watching both the Bush and the Obama administration pussyfoot around a Middle Eastern policy that was bound to fail from the beginning, I have come to believe that the US should sit on the sidelines and watch the Sunnis and the Shiites battle things out like anybody with any sense should have known all along was bound to happen. All we have to remember is the Iran-Iraq War in the 1980s to understand this. Seems to me that the latest news from Iraq ought to help us understand that the fight in Iraq is between the puppet groups of Saudi Arabia and Iran. The policy we should seriously pursue is the China hand. That is play Saudi Arabia and Iran against each other the way Nixon played the Soviet Union and China against each other. Our attention ought to be toward the Israelis and the Palestinians. To get them to bury the hatchet. Because if Iraq is anything, it should be a warning to the Israelis that they can’t wait much longer. Hi Don. Thanks for your well considered response. This statement pretty well sums up the futility of our failed Middle East policies and misadventures of the past 20 years. The money you cited is in addition to the $4 trillion spent on the war efforts in Iraq and Afghanistan, a sum that we keep adding to. I remember the how sympathetic the rest of the world felt toward the U.S. in the wake of the 9/11 terrorist attacks, and how much that goodwill was squandered with the decision to expand the war in Iraq and against the Taliban in Afghanistan. This foreign policy has been a disaster from which the U.S., Iraq and Afghanistan have never fully recovered with ripple effects throughout the Middle East, as you illustrate so well in your story about militant ISIS activities. Hi Mike. In the last few days the Kurds have been able to stop ISIS in Kurdish areas. It’s not much as good news goes but I’ll take any good news I can get.